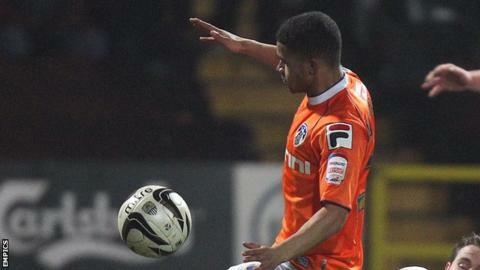 National League side Macclesfield Town have signed winger Chris Sutherland on a short-term deal. The 20-year-old left Ashton United last month and is available for the game at Welling on Saturday having linked up with John Askey's side. Sutherland came through the youth system at Oldham and made 11 appearances for the Latics, as well as having a loan spell at Barrow. After his release he spent time at Birmingham City.